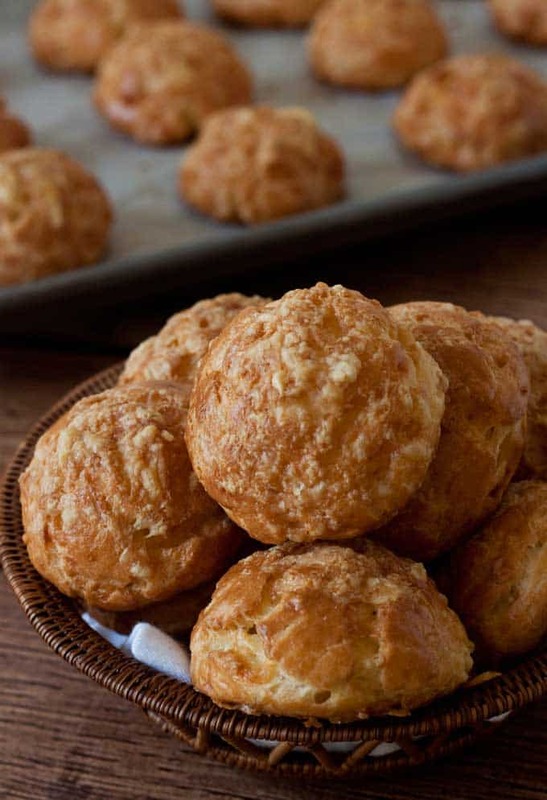 Gougeres are light as air French cheese puffs. Similar to cream puffs but savory instead of sweet. 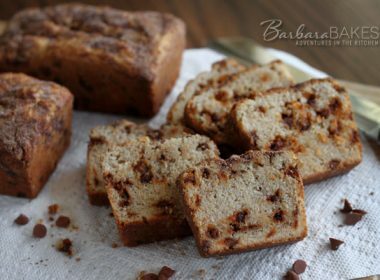 Perfect served instead of a roll or popover with a meal. 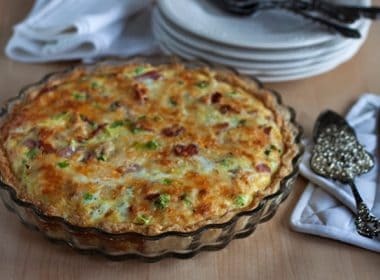 Or, serve them as an appetizer or sandwich filled with your favorite savory filling. If you read Saturday’s post, you know I’ve written a cookbook, Dream Puffs, all about cream puffs, eclairs and profiteroles! It’s part of the Simply Sweets series of cookbooks from Oxmoor House. 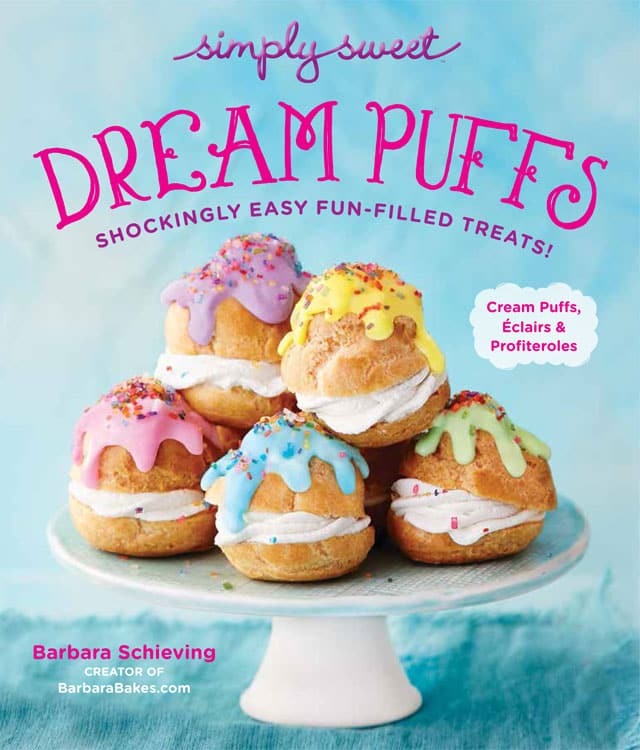 It’s filled with fun, easy recipes for luscious desserts made with a sweet Pâte à Choux dough. But the easy-to-make pate a choux dough (cream puff dough) is so versatile, it’s also easy to create delicious savory recipes. My niece is getting married this week, and I recently hosted a bridal shower for her. I wanted to serve a light lunch and decided to make gougeres. 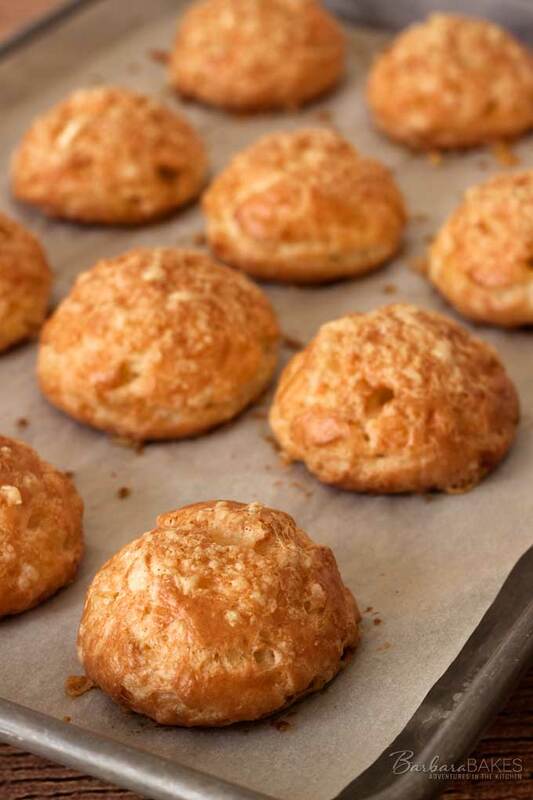 Gougères are made similar to cream puffs, but after you cook the dough on the stove and beat the eggs in to the dough, you add cheese to the dough and then pipe it on to the baking sheets. If you don’t have the equipment to pipe the dough on to the baking sheets, you can use a Ziploc bag and just snip off the corner. Or, my daughter likes to use a cookie scoop to portion out the puff dough on to the baking sheets. No matter what method you use to portion out the dough on to the baking sheets, after they’re baked, you’ll have gorgeous, golden brown, light as air cheesy puffs. 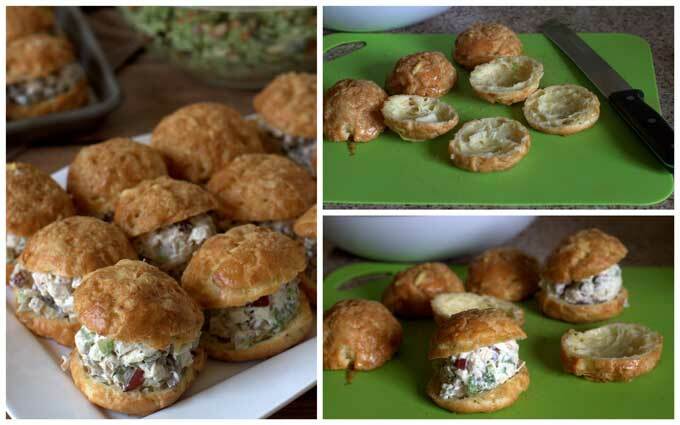 I filled my gougeres with a delicious, lightened up chicken salad. I’ll post the chicken salad recipe on Friday. Preheat the oven to 425°F with the rack in the middle of the oven. Prepare a baking pan by lining with parchment paper or Silpat. Prepare a pastry bag by fitting it with a 5/8-inch plain tip. Measure flour and set aside. In a large saucepan, combine water, butter, salt, and chili powder. Bring to a boil over medium-high heat, stirring often. Remove saucepan from heat. Add flour all at once. Stir until all the flour is moistened, about 1 minute. Return to heat and cook, stirring constantly, for another 1 to 2 minutes until dough forms a smooth ball. Transfer the dough to the bowl of an electric mixer and let cool for 5 minutes. Add eggs one at a time, beating well after each addition, until each egg is incorporated and dough is smooth. Mix in 1/2 cup gruyere and 1/4 cup Parmesan cheese. Fill prepared pastry bag with dough. Pipe dough into 2 inch round tall cone shapes. Prepare the egg wash by whisking together the egg and 1 teaspoon water. Use a pastry brush to lightly coat the dough with egg wash and smooth out peaks and round the tops. Sprinkle remaining 1/4 cup gruyere cheese on tops. Is a serving one shell? Or more? Thanks! 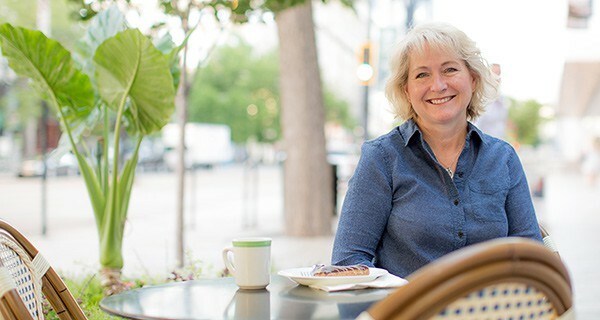 Hi Evelyn – if you make them the size I made in the photos, one shell is a serving. You could make them smaller if you prefer. They look so light and puffy! I just adore them! I will definitely try this out! 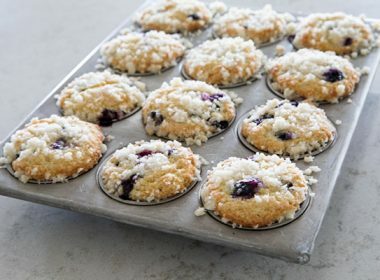 Hi Darlene – You can make them weeks in advance if you freeze them and they freeze very well. Otherwise, I would just make the a day ahead. 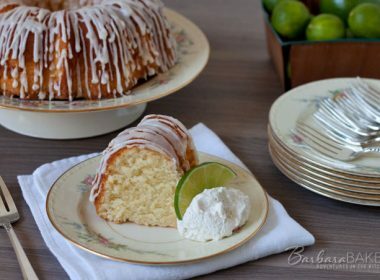 These look wonderful however my family is gluten free. 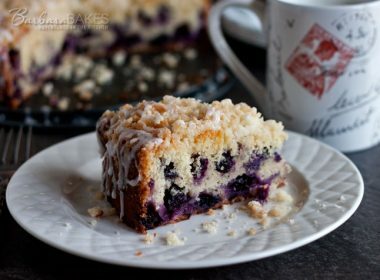 Can these be made with a gluten free flour? Hi Angel – yes, you can make a gluten free shell. There’s a gluten free shell recipe in my cookbook and you’d just add the cheese and spice to it.